Don’t let water damage in your business stress you out. KIWI Services in Phoenix is here to make sure your business is back up and running in no time after being hit by water damage. 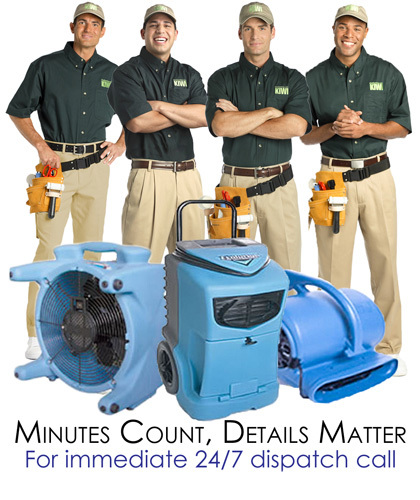 Our commercial water damage services are 24/7, so if your business is hit by a water damage emergency at 2 AM, KIWI’s team can be there. KIWI’s professional commercial water damage repair team is IICRC certified, licensed, and bonded. KIWI has been restoring businesses after water damage for 30 years, so we are an experienced company as well as fast and efficient in repairs. KIWI guarantees all commercial water damage repair work for a year, and we also provide a one-year carpet cleaning warranty for all carpet work done. KIWI wants to help minimize costs, which is why we will work with your insurance to cover damage. We will make sure that your business is brought back to normal in a budget-friendly manner. Contact KIWI immediately if your business is suffering from water damage. We will dispatch a team to help restore your business right away.